OpenShot 2.3 Released With Transform & Razor Tools - OMG! Ubuntu! A new version of OpenShot, the crowdfunded open-source non-linear video editor, is available to download. “This is one of the biggest updates ever to OpenShot, and is filled with new features, performance improvements, and tons of bug fixes,” the application’s developer writes in a blog post. A decent transform tool is a must-have feature for any half-way competent video editor — and OpenShot 2.3 adds one. 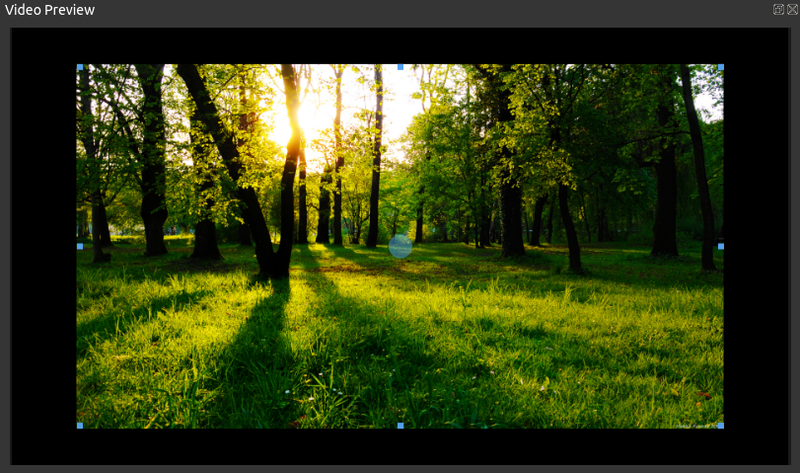 The new transform tool allows real-time transformations inside the video preview window. Just right click on a video clip and select “Transform”. You’ll see a bounding box with resize grips that you can adjust using your mouse. Last seen back in OpenShot 1.4.3, the Razor tool has been re-introduced. With the Razor active, just click on a video clip or transition to quickly cut it. Use CTRL and SHIFT to set whether to keep the left or right side of the clip. To edit as efficiently as possible you need reliable, easy to use timeline zooming. Whether you need a quick at-a-glance overview of length, or hone in to make a really precise trim, you don’t want to be faced with choppy, steppy and inconsistent zooming. OpenShot 2.3 centers zooming on your mouse position rather than the timeline as a whole, and zoom scale is saved in project files. Some attention has been levelled at the Export dialog used when saving videos to an end-file you plan to use elsewhere, most of it in the backend to ensure export happens smoothly. Also, on Unity, you’ll now see export progress on the Unity Launcher item. This lets you keep an eye on your renders without needing to keep the app in view. The official OpenShot PPA makes the latest stable release available to users running Ubuntu 14.04 LTS or above. Launch the app from the Unity Dash (or whatever application launcher you use) and then cross your fingers that this version actually works get editing. Not running Ubuntu? You’ll find source code and links to other download options on the application’s official downloads page.